Tibetan Buddhist lama Yangsi Rinpoche is to speak at the Congregational Church on Sunday. Yangsi Rinpoche, a Tibetan Buddhist lama in the lineage of His Holiness the Dalai Lama, will offer a public talk, How to Achieve Happiness, and a Healing Ceremony for World Peace, in Laguna Beach on Sunday, Nov. 19 at the Laguna Beach Woman’s Club, 286 St. Ann’s Dr.
A donation of $10 to $30 is asked for the 1 p.m. talk, while the 5 p.m. blessing is free. All are welcome to attend both events organized by Laguna Beach’s Gonpo Ludup Study Group, part of the international Tibetan Buddhist organization the Foundation for the Preservation of the Mahayana Tradition. Based in Portland, Ore., Rinpoche teaches in English and is known for his insight into the Western psychological condition. Born in Kathmandu and educated at Sera Je Monastic University, in south India, Rinpoche since 1998 has taught extensively in the U.S. and Europe. 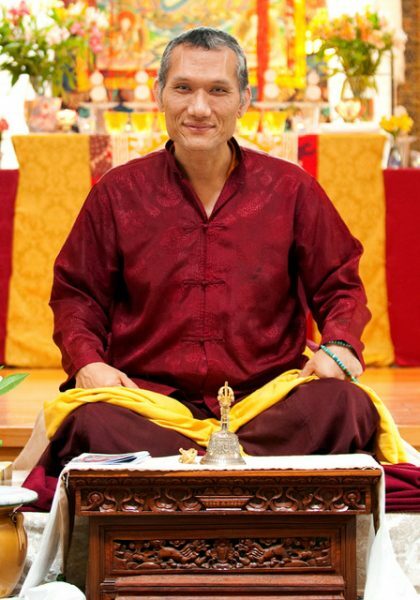 He is also the spiritual director of Buddhist centers in Puerto Rico and Seattle, Wash.
Attendees are welcome to bring the names and photos of loved ones to the ceremony or email the names to [email protected] Rinpoche will include them all in his prayers. The Festival of Unity at the Festival of Arts Forum Theatre, marking the 200th anniversary of the birth of Bahá’u’lláh, the founder of the Bahá’í Faith, was “a watershed evening of unity in diversity,” according to one of the organizers, Suzy Elghanayan of Laguna Beach. 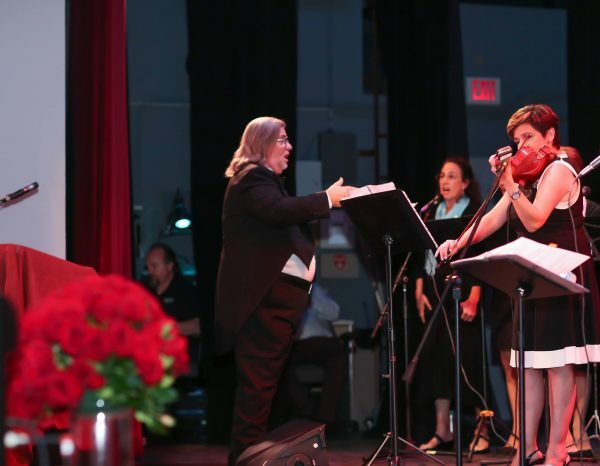 A musical director leads entertainers, part of the celebration last month. The speakers were from diverse faiths, nationalities and backgrounds and inspired a capacity filled room on Sunday, Oct. 22, says a statement. The teachings about social transformation and community building underpin the faith, which was established in Iran by Bahá’u’lláh in 1863. “This is an antidote to the racial prejudice and materialism that are corroding American society,” said Kerry Mogharebi, a North Laguna real estate broker who took part in the festival. Photo: A musical director leads entertainers, part of the celebration last month. 2. The Healing Ceremony begins at 4:30 pm. (Not at 5pm).